Someone once told me it was possible to carve a chain out of a stick. I thought there was no way, but I took a stick and started experimenting. 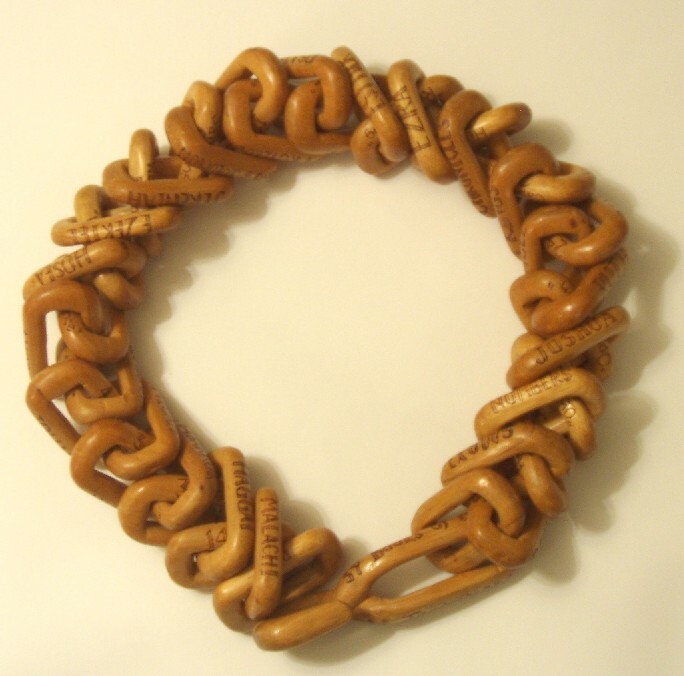 I was able to carve a chain with 39 links. I decided to put on this chain the 39 Books of the Old Testament. Each link has a different book listed, starting with Genesis and going to Malachi. Plus it has one word on each link to describe that book and how many chapters are in that book. My next project was the New Testament Chain. It has the same information as the Old Testament Chain. It starts with Matthew and goes through Revelation. Plus each link has one word to describle that book and how many chapters are in that book. 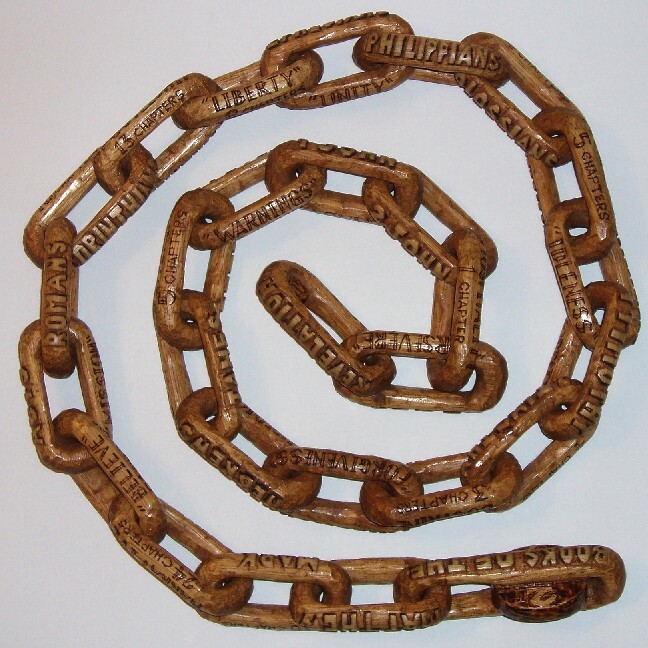 Everyone always wanted to know how I was able to carve a chain from a stick. I finally made a small sample piece to show the steps how to do that. It is also pictured above. 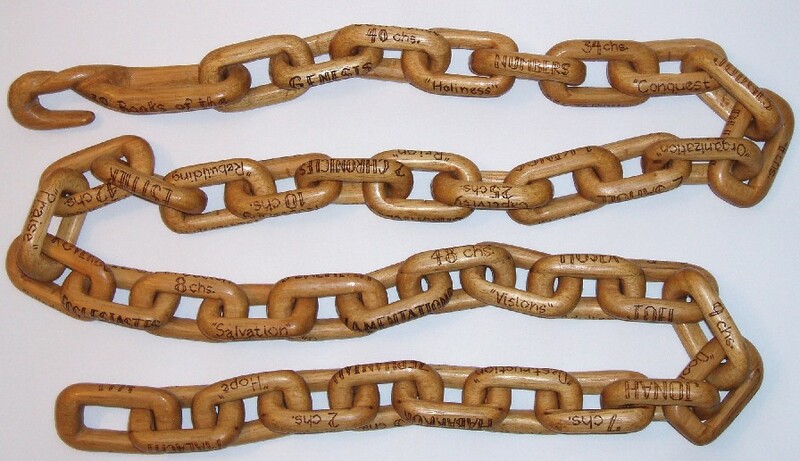 Each chain took about a year to carve. I finished the O.T. Chain in 1994 and the N.T. Chain in 1995.